Looking for a new car that won’t cost a lot to insure? You won’t find anything that’ll reduce your annual insurance premium more than a city car such as the Hyundai i10 or Volkswagen Up - with many models in insurance groups 1, 2 and 3. Most of the latest city cars are surprisingly good outside of town and are packed with technology, meaning you no longer need to compromise for low running costs. 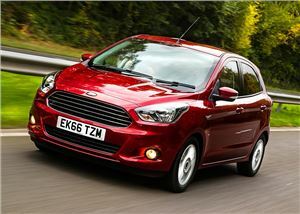 The Ford Ka+ is one of a handful of cars in Insurance Group 1 - a surprise, considering its dimensions meaning it borders on the supermini class. It’s bland and not as good as a Fiesta, but the Ka+ starts at less than £11,000 and is offered with some very tempting finance packages. 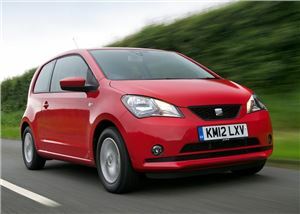 For the cheapest insurance you’ll need the entry-level Studio, which comes with a DAB radio and, er, not a lot else. Sample quotes on what this car could cost you to insure - as a very rough guide. 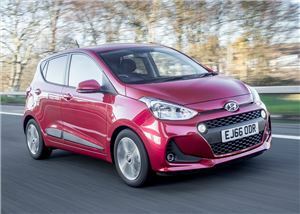 You can’t do much better in the city car segment than the Hyundai i10. Some might find its styling a bit bland, but it’s a really cheerful little car to drive and the interior is up there with cars from the class above. Sadly, for cheap insurance you’ll have to opt for the 66PS 1.0-litre petrol engine. A 14.7 second 0-62mph time means it’s best suited to around town driving, but that’s the price you have to pay for cheap insurance. We raved about the latest Kia Picanto when we first drove it in 2017. 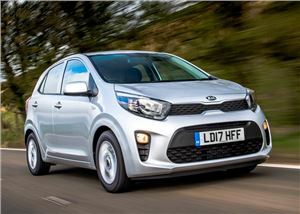 And rightly so - like the Hyundai, the Kia is a fun little city car that proves that affordable doesn’t have to mean miserable. The entry-level Kia Picanto 1 comes with tinted glass, automatic headlights and front electric windows. Nothing to shout about, perhaps, but not a bad standard spec for less than £10,000. The SEAT Mii is essentially the same as the Volkswagen Up but with a lower start price and arguably more trendy SEAT badge. 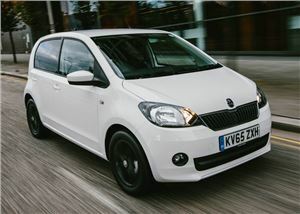 The pair, along with the Skoda Citigo, sent shockwaves through the city car segment when it arrived in 2011. Even today, following little more than a few modest updates, you could do a lot worse than spend your money on a SEAT Mii. For cheap insurance you’ll need the less powerful 60PS petrol engine, but it’s a perfectly likeable unit. Whether you buy a Skoda Citigo or a SEAT Mii basically comes down to which one you prefer the looks of and whether you’re closer to a Skoda or SEAT dealer. You might prefer the premium image of the Volkswagen Up over the Seat Mii and Skoda Citigo. There’s no reason not too, either - it’s in the same insurance group as the Seat and Skoda, and its good resale values mean there are some tempting finance offers available. 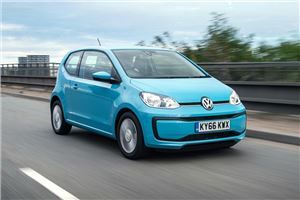 In our latest MOT test data, the Volkswagen Up has an average pass rate of 87.9 percent - that’s more than the SEAT Mii but marginally less than the Skoda Citigo. In reality, none of the Up trio should cause you grief come MOT time provided you’ve maintained it properly. The Renault Twingo is a quirky offering in the city car segment and, although purchase prices are slightly higher than rivals, this isn’t reflected in the insurance. We like how fun it is to drive around town, with its tiny turning circle capable of making London cab drivers envious. We’re not as keen on its lack of motorway refinement, so look elsewhere if you want to be able to cruise in peace. 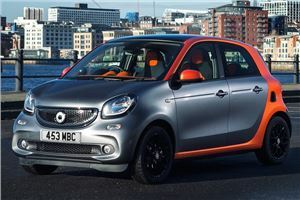 As well as sharing an insurance group with the Renault Twingo, the Smart ForFour also shares a platform - so it’s just as fun to drive with an even quirkier appearance. As suggested by its name, the ForFour is a four-seat version of the Smart ForTwo. 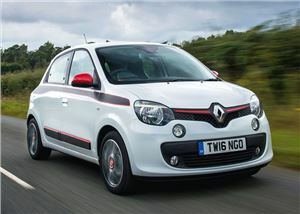 185 litres of luggage space is small even for the class, and its 15.9 second 0-62mph time isn’t going to excite anyone. But who buys a Smart for its boot size or straight-line performance? 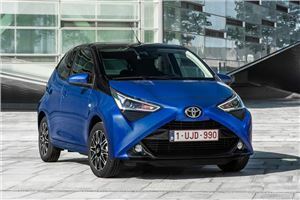 Toyota gave its popular Aygo city car a teeny tiny facelift in 2018. You’d be hard pushed to tell the difference, but it’s as quirky as ever to look at and sprightly around town. There’s only one engine: a 1.0-litre three-cylinder petrol producing 72PS. You have to work it hard - even setting off from a standstill requires a heavy right foot to prevent stalling it, but it’s all part of the Aygo character. And there’s certainly plenty of that. 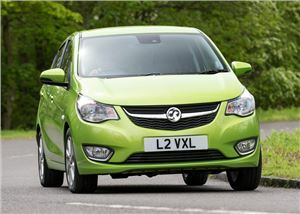 Would you like your Vauxhall city car to be slow and sensible or quirky and expensive? The Adam and Viva both fall into Insurance Group 3 - but it’s the latter we’ve featured here. There are better city cars than the Viva. Its 1.0-litre engine struggles at motorway speeds, and its cabin is uninspiring. But it’s fine for the money, especially when you take standard equipment into account. The entry-level SE model comes with speed-sensitive power steering with city mode, Bluetooth audio and electric front windows.